Let´s welcome the Portuguese Coastal Way and the Winter Way! Let’s welcome the Portuguese Coastal Way and the Winter Way! 1 Let’s welcome the Portuguese Coastal Way and the Winter Way! This week, we had really good news, the Portuguese Coastal Way and the Winter Way, are finally official Jacobean Camino routes. There´s nothing to be surprised about, as each year more and more Pilgrims are choosing these routes on their way to Santiago. But, what´s the real meaning of being ”official”? How are things going to change from now on? The Winter Way has been the historic alternative to all Pilgrims doing the French Way, that couldn´t go any further after reaching O Cebreiro, due to the snow. It was possible to get to Santiago using the path in the Ribeira Sacra region, and avoid the snow in winter (that´s why it is called The Winter Way). With regards to the Portuguese Coastal Way, the Societies of Friends of St James and many neighbors in the area, had been asking for a long time to recognize the route. The historic basis is found in the fact that there were two pilgrim hospitals on the way. And of course, because of the value of the landscape. The fact of being official, that is recognized by the Spanish Historical Heritage Law, will allow more resources to be allocated to promote it, and to upraise its value. 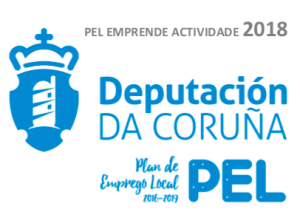 Even if the Pilgrim Certificate (Compostela) was also given by the Pilgrim´s Office to people using these routes, from now on it will start to be recognized as a first class tourist asset. We can´t deny that these routes have been existing for a long time, thanks to the large number of Pilgrims that have been walking them every year. But from now on the administration will also take care of them. The first step, the signs. We will start to see the legendary milestones on the way, and all the approved marks (we used to find the yellow arrows anyway, but from now it will be just as in any of the other Jacobean routes). The new status of these routes is setting out new works and challenges, like the fact of having to guarantee an albergue for Pilgrims in all the stops. But of course, thanks to this new status, it will be possible to access public funding, which will make things easier. For more information about the Portuguese Coastal Way, please click here.